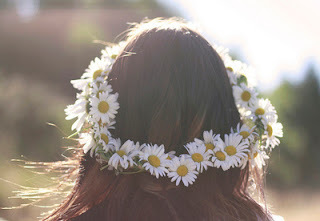 Okay, today I ran across the holy grail of picturesque costuming skills: the ability to wander into a field and create a hair wreath from just the flowers you can pick there. It's brilliant. I'm going to go divest a field of some daisies now.